Honeywell announced today that it has released Centurion™, a composite fabric designed to make law enforcement apparel and equipment 35 to 40 percent lighter. 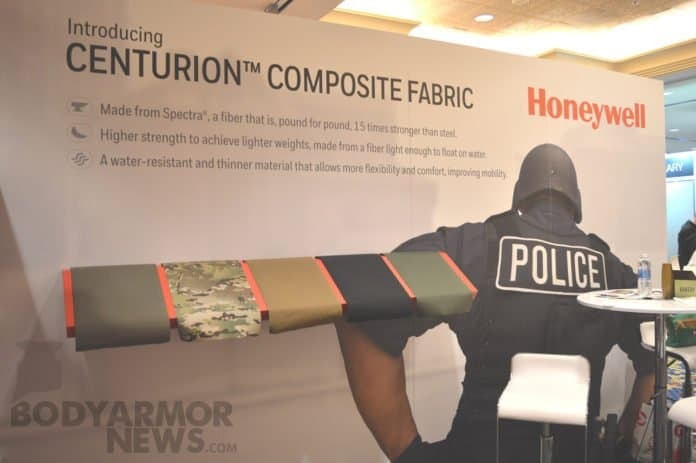 Centurion is the latest performance fabric made from Honeywell Spectra® fiber and is suitable for any type of application where the product needs to be strong but lightweight. 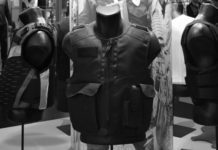 Traditionally, law enforcement officers have carried extra gear such as ammunition and radios by attaching them to modular lightweight load-carrying equipment (MOLLE) web designs that include straps sewn onto their tactical vests. MOLLE straps add extra weight and can make movement more difficult for officers. By contrast, vests made with Centurion fabric are 35 to 40 percent lighter because they do not require extra fabric. Centurion is laser-cut according to user preference, resulting in slits along the vests from which officers can hang, hook or tie gear as needed. Because nothing needs to be sewn into these vests, they are lighter and more comfortable for officers to wear, as well as faster and easier for manufacturers to produce. Combined with Spectra fiber’s strength, Centurion-made vests are resistant to cuts, abrasion and water, making them suitable for many tough environments. Spectra fiber is made from ultra-high molecular-weight polyethylene using a patented gel-spinning process. Pound for pound, Spectra is 15 times stronger than steel, yet light enough to float. It has up to 60 percent greater strength than alternate aramid fiber. Spectra fiber is used to create Spectra Shield®, an advanced ballistic-resistant material. Honeywell’s Shield technology is a patented Honeywell process designed to optimize the ballistic performance characteristics of Spectra as well as aramid fiber in Gold Shield® materials. Spectra Shield and Gold Shield products have been widely adopted and proven for the most advanced armor applications globally, from bullet-resistant vests, breast plates and helmets to combat vehicles and military aircraft – all which require lightweight solutions and superior performance.